Long 15 years. During the last 15 years our instant messaging client called Bopup Messenger was offerred within it's initial interface designed and produced in 2003 year! The messenger icons, bitmaps and toolbars were not changed from the time when Windows XP had been released. 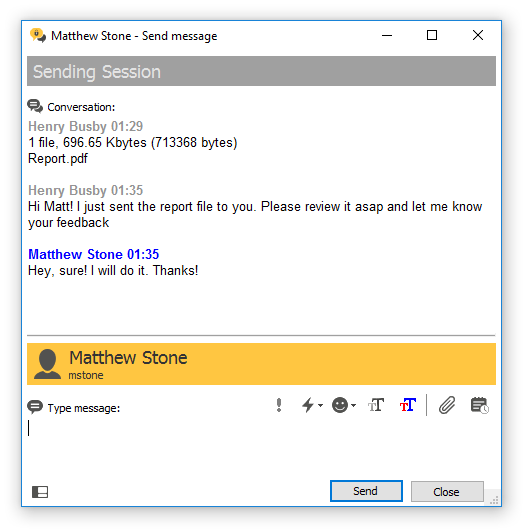 The new release of the messenger has flat windows and dialogs. We removed borders to make the interface more clear. 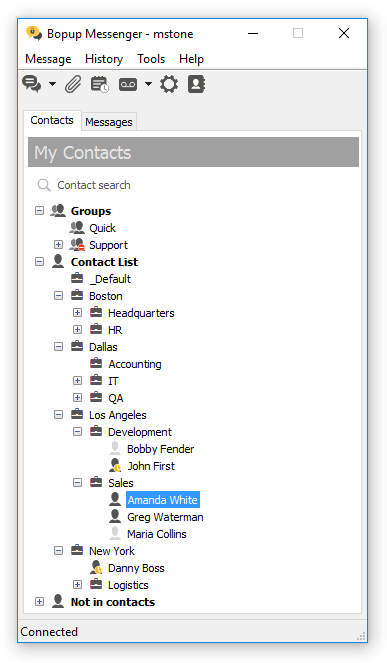 New toolbar images, new icons in Contact Lists and everywhere in the application. The new interface is performed in monochrome theme. At the same time we tried to make new images similar to the previous interface so existing customers could continue using the software and the upgrade to the new software was not painful and difficult. In addition the application removed many unnecessary functions that came from it's oldest versions, deleted some menu items to make the messenger much better, lighter and easier to use. 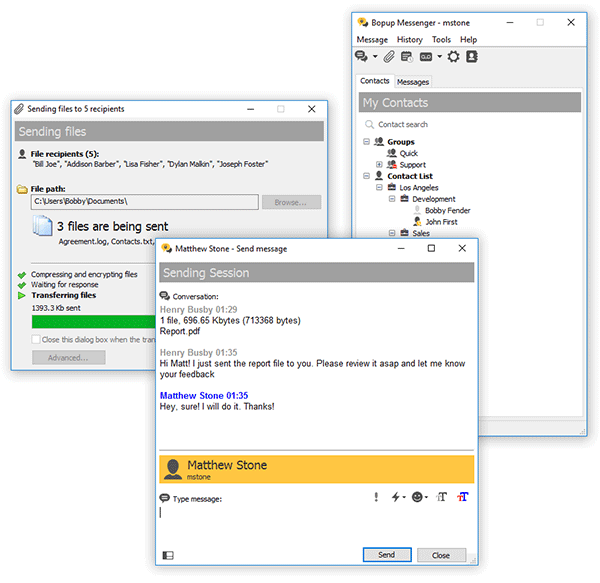 Bopup Messenger version 7.0 is fully compatible with previous versions of the communication server and IM clients so the version upgrade will not affect to instant communication and will not bring any issues to text messaging services.